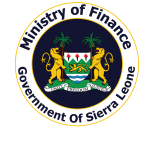 The Public Financial Management Improvement and Consolidation Project(PFMICP) and the Non- State Actor Secretariat of the Ministry of Finance has concluded a one day Grant Management training for Non- State Actors held on Thursday 6th September 2018 at the IFMIS Training Room at the Accountant General’s Department. The Program was sponsored by the PFMICP through funds donated by the World Bank. Addressing the participants, the Project Implementation Specialist and Open Data Lead of the PFMICP Amos Lansana said, they are partners in ensuring transparency and accountability in improving service delivery in Sierra Leone. Amos Lansana went on to say that the PFMICP just like the Non-State Actors is projecting transparency and accountability in Public financial management. He added that the PFMICP have funds to support CSOs that promote Public Finance Management for efficient service delivery. This wave of grants forCSOs will help to enhance their work. He further explained that the process was lengthy as several Civil Society Organizations (CSOs) applied and that some were successful due to their efficiency while others were not. Amso Lansana said since nobody has monopoly over knowledge the PFMICP and the NSA thought fit to train the successful CSOs, in order for them to be on the same page in terms of implementation of their approved activities. He reiterated that accountability and transparency should be promoted even at community level, stating that once the funds are been disbursed they are looking forward to timely output, and the outcome of the CSOs activities in the medium term. In his presentation on NSA grant Financial Management, the Officer in charge of the PFMICP Demise Mason started by commending the NSA Research Assistant Sallieu Turay, for a job well done, as the process was tedious. He went on to congratulate the CSOs who were successful in the grant application process. Demise Mason expressed hope that the implementation this year will be better than the first phase of grants that were awarded. He informed the sub – Grant awardees that his task was to discuss the financial management issues highlighted in the audit recommendations of the audit report for the first wave of grants distributed. He explained that financial management of most of the sub-grantees was good except for a few, as according to him most of the awardees are well established. He said his presentation will focus on the weakness in order for them to improve on them by the next reporting. He highlighted some of the general recommendations by the PFM Oversight Committee as follows: Ø The NSA Secretariat should put in place stringent measures in order to combat inefficiencies identified during project implementation of the Grant Partners that were outlined. Ø NSA Secretariat shall continue to train grant implementing partners in the area of internal accounting controls, and financial reporting.This will strengthen their capacities. Ø A general concern is raised with regards withholding tax and that it was noticed that most of the grantees did not withhold the 5.5% tax, stressing that whenever they procure goods or services they should withhold 5.5%. Most people did withhold 5.5% but those monies were not pay to the NRA. The Internal Audit Department is going to put in measure to ensure that those monies are paid. The Sub- Grant Evaluator Sallieu Barrie during his presentation on Organizational governance practices and proper financial management nexus and expected grant project reporting said that his role is to: Ø Review concept notes as per eligibility criteria set out in the grants manual, short listing of applicants and provide recommendation to the oversight committee, in a timely manner. Ø Conduct a due diligence to determine the eligibility and credibility of the organization Ø Evaluation of sub-grant proposals in accordance with the eligibility criteria set out in the sub- grants Manual Ø Recommend, on the basis of initial evaluation, eligible Sub- projects for approval by the PFM Oversight Committee, subject to World Bank’s no- objection. The Sub- Grant Evaluator further stated that Governance involves a set of relationships between an organization’s management, its board and other stakeholders. Governance also provides the structure through which the objectives of the organization are set, and the means of attaining those objectives and monitoring performance are determined. Sallieu Barrie added that the principles of Governance includes Accountability, Transparency, Responsibility and fairness. Speaking about good Financial Management the NSA Sub- Grant Evaluator, said in many organizations financial management is given a low priority, which according to him is often characterized by poor financial planning and monitoring systems. He said good practice in Financial management will help managers to make effective and efficient use of resources to achieve objectives and fulfill commitments to stakeholders, help organizations to be more accountable to donors and other stakeholder, gain the respect and other stakeholders, gain the respect and confidence of funding agencies, partners and beneficiaries and give the organization the advantage in competition for increasingly scarce resources and help organizations prepare themselves for long-term financial sustainability. He said Financial Reports are prepared by the NSA as part of the requirements under a grant and summarize the use of grant funds. The format of the report will be shared by the NSA Secretariat. He concluded by stating that NSA Should: Ø Promote effective Governance Ø Implement activities as per the approved work plan and budget Ø Use and manage funds appropriately Ø Submit financial and technical reports as required Ø Retain records and documents related to the grant and activities for a reasonable period after the grant period. The Research Assistant of NSA Secretariat Sallieu Turay and Procurement Assistant Maseray Conteh also made presentations on the Narrative reporting and Procurement Policies and Procedures respectively. The presentations were followed by questions and answers session.